Reggie Showers always pushes himself to the limit. He’s a two-time world motorcycle drag race champ, a pilot, a rock climber, and a certified snowboard instructor. He thrives on seeing just how far his drive – and his body – can take him. And he’s done all of this as a two-limb bilateral amputee. Living such an active life with these limitations was nearly impossible just a few years ago. But, thanks to technological advances made by College Park Industries, sophisticated artificial prosthetics now allow people like Reggie to do things any other person can do. How does College Park manage to create such highly innovative prosthetics? With PTC Creo, of course. College Park’s first prosthetic, the Trustep foot, changed the way others thought about prosthetic functionality. As loyal PTC users, they’ve been able to use PTC Creo to continue this legacy of innovative design. The PTC design suite allows them to experiment with sophisticated dynamic response systems and a superior range of anatomical motion. 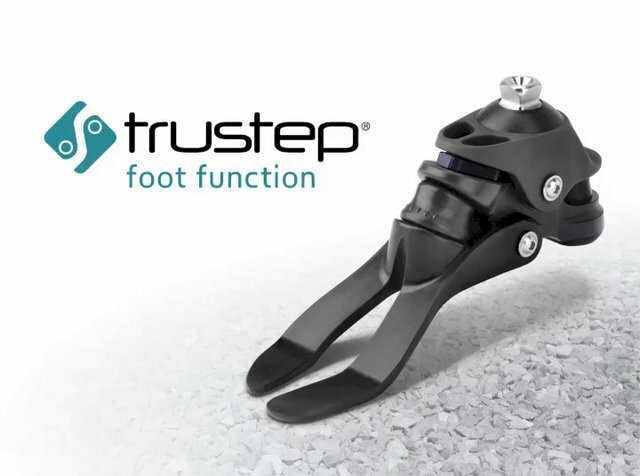 The Trustep foot alone has over 400,000 viable combinations to allow the product to be custom-built for each person. When redesigning the company’s Soleus line, College Park wanted to reduce the product’s weight while increasing its strength. Using PTC Creo, they were able to cut weight by 10% and increase its strength by 40%. The resulting design, the Soleus Tactical, is the perfect balance of flexibility and performance. For more information about College Park, visit their company website. To learn more about Reggie Showers’ incredible story, read his profile piece on CycleDrag.